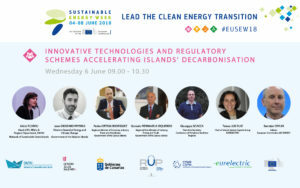 On 6 June, second day of this year’s EUSEW Policy Conference, SMILE’s partner DAFNI Network organized in collaboration with the Government of the Balearic Islands and the Outermost Regions Energy Network a session titled “Innovative technologies and regulatory schemes accelerating islands’ decarbonisation”. 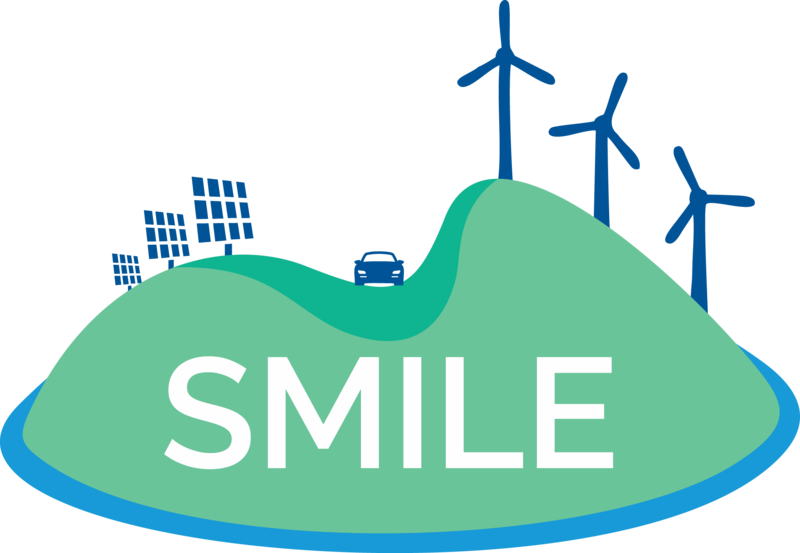 The topic was chosen, as it is also particularly relevant to the work undertaken by SMILE, where DAFNI is tasked with contributing to the analysis of policy and regulation affecting islands’ decarbonisation as much as with dissemination and exploitation of project results in European islands. The event brought together over 70 participants from Europe’s islands, EU and national policy makers, the industry and market actors along with community-based initiatives for the energy transition to discuss how cutting-edge technologies can be optimally combined with innovative regulatory and financing schemes to create an enabling framework for harnessing islands’ decarbonisation potential. Alkisti Florou, on behalf of DAFNI Network, presented innovative sustainable energy projects and recent regulatory developments in Greek islands, while Joan Groizard Payeras, representing the Baleric Islands Government provided an overview of the region’s initiative to enact a legislative framework that will accelerate islands’ decarbonisation. Pedro Ortega Rodriguez, Regional Minister of Economy, Industry, Trade and Knowledge of the Canary Islands outlined the region’s priorities and lighthouse projects while Gonzalo Piernavieja Izquierdo, under his capacity as Coordinator of the Outermost Regions Energy Network showcased successful case studies from Outermost Regions, including Guadeloupe, Réunion, the Azores, Madeira and the Canary Islands. The event also echoed the position of the electricity industry, with Teresa Luis Ruiz, Chair of Islands System Experts Group of EURELECTRIC presenting the organization’s vision for islands’ energy transition, focusing on the need for tailor-made technological solutions for islands that put the consumer at the centre. More so, the opportunities and challenges arising from the new Multi-Annual Financial Framework in terms of funding available for decarbonisation and cohesion policy in islands were summarized by Giuseppe Sciacca Executive Secretary of CPMR’s Islands Commission. Last but now least, Brendan Devlin of DG ENER referred to the Clean Energy for EU Islands Initiative as the EU policy framework that will galvanize support for islands’ energy transition through two streams of work: The CE4EUI Secretariat starting now and for the next two years and the Islands’ Facility from 2019 onwards. 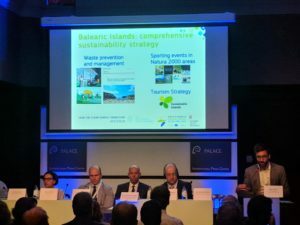 Attendees praised the excellent organization, inspiring examples from islands and thought-provoking presentations in what was the first out of the three sessions dedicated to islands in the framework of this year’s EUSEW! This is reflective of the increasing attention islands are gaining as pioneers of the energy transition that can provide valuable insights to other rural, remote territories but also urban environments!